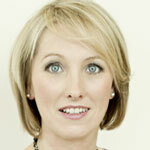 Martine Croxall is a presenter with the BBC News and BBC World News TV channels, based at New Broadcasting House. She is one of the two main hosts of The Papers, a popular nightly review of the front pages. She joined BBC News in May 2001 and has covered every major news story in that time, broadcasting from London and Washington DC: the aftermath of 9/11 (the Afghanistan conflict, the Iraq War, the capture of Saddam Hussein, the death of Osama bin Laden, the Asian tsunami, the Kashmir earthquake, Hurricane Katrina, the election of Barack Obama, the financial crash of 2008, the Fukushima nuclear disaster, the death of Michael Jackson, to name only a handful. Martine is an accomplished interviewer,who places great importance on thorough research. She excels at breaking news when stories are moving quickly, the running orders and scripts are abandoned and she has to think on her feet, drawing onher knowledge of current affairs and on years spent presenting live TV. She began her broadcasting career in BBC local radio and regional TV where she worked in various roles, including as a producer, reporter, presenter and news editor. Martine is a Fellow of the Royal Geographical Society and regular hosts their “Discovering People” interview series staged live in central London. Recent guests include Paul Theroux, Alain de Botton, Yottam Ottolenghi and Sandi Toksvig. Martine is in demand for her moderating skills: She hosts events and chairs panel discussions for literary festivals and organisations such as the European Parliament, the Southbank Centre and Local Government Association. She trains new TV presenters for the BBC’s Language Services, teaching journalists how to develop their own style that will engage the audience. She also coaches clients from the public and private sectors in presentation and communications skills, offering bespoke tutoring to groups and individuals. Martine grew up in rural Leicestershire, went to school in Coventry and read geography at the University of Leeds. She is married and has two children. In her “spare” time, she takes Latin, ballroom and Lindy Hop classes. Since adopting a rescue puppy, she can often be seen chasing a little black dog across the fields and woodlands of Hertfordshire.